Shrines have dotted New Mexico since pueblo members first stacked rocks to create sacred mountaintop boundaries. Havens of spirit and space, they can be carefully grouped devotions to the saints or a “ghost bike” arranged in the memory of a fallen cyclist. People have always found ways to invest places in prayers and devotions, be it through an assemblage of Teddy bears or the Virgin of Guadalupe. It’s a universal need for a private place of veneration and contemplation, be it religious or secular. From the tragedy of Sept. 11 to the death of Princess Diana, people have erected shrines to mark their sense of loss and need for solace. People still deck Billy the Kid’s grave with flowers and plastic angels in an homage to the American West. Taos Pueblo residents have made spiritual pilgrimages to their sacred Blue Lake for thousands of years. In the mid-’50s, they fought the U.S. government for title to its 48,000-acre watershed, which was finally granted in 1970. Since 1814, when Don Bernardo Abeyta built the Catholic shrine of El Santuario de Chimayó, pilgrims have flocked to its doors seeking healing and hope. Today family members erect roadside descansos in memory of lost loved ones. Be they a group of polished beach rocks or a backyard Buddha, personal shrines meld seamlessly into their surroundings, each as singular as its devotee, whether secular or sacred. “Altared Spaces: The Shrines of New Mexico” opens at the New Mexico History Museum Sunday, revealing three New Mexico photographers’ interpretations of these secular sanctuaries. Featuring the work of Siegfried Halus, Jack Parsons and Donald Woodman, the exhibit is located in the museum’s second floor gathering space, just outside the “Contemplative Landscapes” and “Illuminating the Word: The Saint John’s Bible” exhibitions. 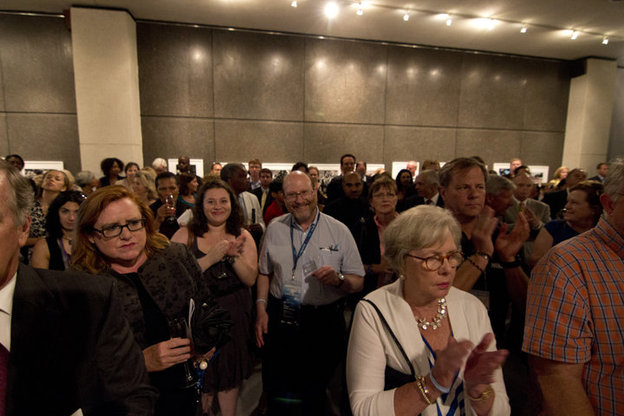 The photographers will kick off the exhibit at 2 p.m. Sunday with a discussion of their work in the auditorium. “It’s about anything that’s meant to stop and mark that moment of grace,” New Mexico History Museum Director Fran Levine added. Halus’ photographs honor those spaces, with their environmental settings “enshrining their shrines” to express reverence. A photograph taken near Galisteo — improbably around midnight –– shows a grotto dedicated to the Virgin Mary overlooking the Galisteo Basin. The shrine glows with incandescent candlelight thanks to a long exposure and abundant moonlight. A gnarled piñon hovers behind it; a pot of lilies sits to the side. “Even though it was a full moon, I made a number of exposures because I was working with available light,” Halus said. Those exposures lasted from one to one-and-half minutes. Art turns darkness into light. Another Halus image shows a Santa Fe woodworker’s bulto propped on an ancient icebox beneath Our Lady of Guadalupe. The shrine’s placement reveals its creator’s occupation as the saints share the space with poles and a horse harness, expressing both their familiarity and importance to daily life. The woodworker made the cabinet that crowns the refrigerator and filled it with carvings of saints. Shrines have been central to Jack Parsons’ photographic journey through New Mexico for more than 35 years. The photographer has captured areas of abandonment, be they an old pink schoolhouse in Tres Piedras or a stone grotto, linking objects to acts of devotion. He acknowledges the slight invasion of privacy inherent in his work, but celebrates the aesthetic value. A weatherbeaten Española back yard boasts a figure of Christ framed by an old TV. A stone shrine hugs it, brimming with objects of religious devotion. Rusted lawn chairs await visitors. Parsons found the sanctuary off a dirt road. The heart and spirit invested in these altars places them beyond the critic’s judgmental eye. Levine has spotted rock shrines flecked with dried flowers and feathers marking hiking trails in the Sangre de Cristos. For some, shrines represent the spiritual. For others, they’re merely a marker or a practical message. Belen’s Donald Woodman has photographed more secular spaces, such as Socorro’s Very Large Array and the Lightning Field land art installation. While traveling in Europe for a Holocaust project, Woodman visited concentration camps, memorials and other markers of human devastation in remembrance of those who endured the horror. Woodman’s “God Is Just a Prayer Away” captures a Chimayó roadside grouping of a white cross, flowers, angels and a miniature wooden house with pictures along an endless landscape beneath wispy tendrils of clouds. The composition grew out of the photographer’s disappointment after visiting the Santuario de Chimayó. Photography is now forbidden in the chapel. While he was driving home, he stumbled across what he calls a photographer’s gift. Woodman’s panoramic photograph of pilgrims climbing Tomé Hill at Easter showcases both the devout and the indifferent. 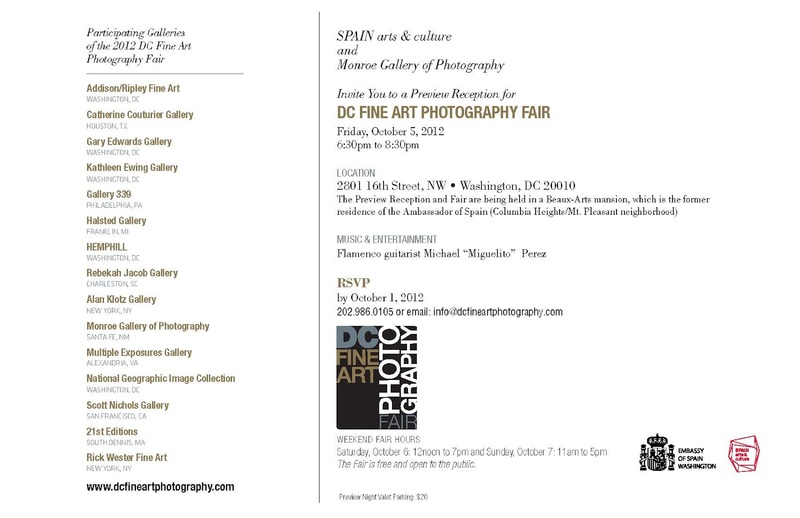 Monroe Gallery of Photography is pleased to join fifteen established fine art photography galleries from across the United States for the inaugural DC Fine Art Photography Fair October 5 - 7, 2012. An extraordinary range of photographic images—from 19th-Century Images to cutting-edge contemporary visions—will be on display and available for purchase. Full details here. Please click below for you personal invitation to the Preview Reception Friday evening from 6:30 to 8:30 PM. Also featured is Gomel's perhaps most known photograph: of then 8 - year old John F. Kennedy Jr. standing solemnly at the funeral of hisuncle, Robert Kennedy, in front of St. Patrick’s Cathedral in New York. This photograph appeared in a two-page spread in the June 1968 “Special Kennedy Issue” of LIFE magazine. Join legendary Life magazine photojournalist Bill Eppridge as he takes a look back at the politicians and campaigns he photographed in the nineteen sixties and seventies, and talks about how the issues that were happening then are still prevalent in this country today. He will also talk about advances in the camera equipment he uses, and how he transitioned from film to digital cameras beginning in 2001. This is a unique opportunity to learn about history and political coverage from someone who experienced it with insider access. 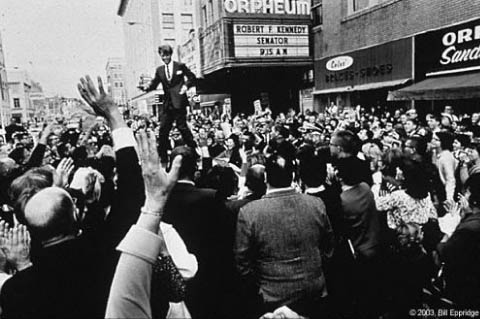 Many people are familiar with Eppridge’s historic coverage of Senator Robert F. Kennedy’s presidential campaign, and his two books on Kennedy. 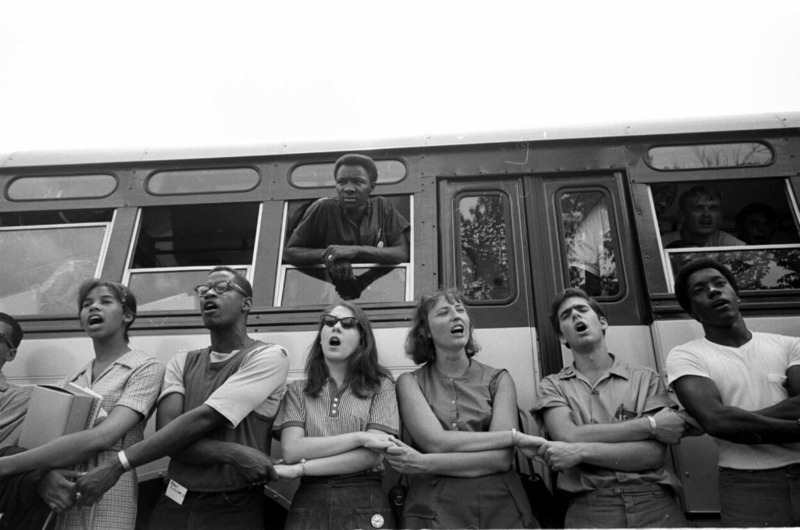 Less well known and rarely seen are his photographs of President Lyndon Johnson during a campaign trip on Air Force One, and assignments covering the fear mongers of the early sixties - Governor George Wallace of Alabama during the Wisconsin presidential primary, and Robert Shelton, the grand wizard of the United Klans of America among other controversial figures of that time. He also covered both the Republican and the Democratic conventions in 1972, the year in which the Vietnam War was dividing the country and Richard Nixon was re-elected. Eppridge believes that politics is more important than the average person realizes, and that politics shape our daily lives, from health care to farming. He will also discuss the difference in access to candidates then as opposed to now. He went to a rally for then candidate Obama in 2008 to see this himself, and will share tips for covering local political campaigns, something that almost anyone can do nowadays. Eppridge continues to work as a photographer today and will discuss how the technological changes of the past decades have made it easier for both professionals and amateurs. Photograph by Bill Eppridge / LIFE / © Time Inc.
Bill Eppridge is based in Connecticut where he continues to work on personal projects. He is producing books and exhibits of his recent photographs as well as work from his vast archive. He has been a working photographer for more than fifty years and has covered a wide array of subjects as diverse as the Beatles arrival in America; the Woodstock festival; heroin addicts in Needle Park; the Presidential campaign of Senator Robert F. Kennedy; the Vietnam War; Olympics; The America’s Cup; Elephant soccer in Thailand, and much more. He was a staff photographer for the original weekly Life magazine until publication ceased in 1972. He later worked for as a photographer for Sports Illustrated for nearly 30 years. He has been awarded some of photography’s highest honors including the National Headliners Award; NPPA’s Joseph A. Sprague award; The Missouri Journalism School Honor Medal, and was the 2011 Lucie Foundation Honoree for Photojournalism. The late "Life" magazine photographer, Mark Shaw, and his wife, 81-year-old Pat Suzuki, grew to become close friends of the Kennedy family. The friendship allowed Shaw unprecedented access to the first family during the so-called era of Camelot. In 1959, he was assigned to shoot a "Life" cover story on Jackie Kennedy, when her husband, then a Massachusetts senator, was making his presidential run. Shaw captured the couple at home, on the campaign trail and at the office. 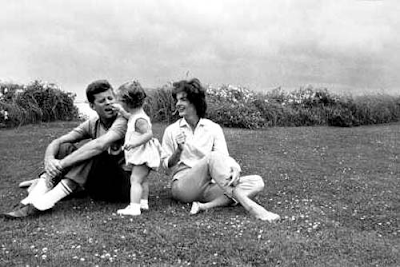 The pictures were an immediate sensation and depicted the Kennedy family with an air of glamour that is atypical in the political realm. Shaw -- and his camera -- soon joined the family at the Inaugural gala, at the White House and on vacation in Hyannis Port, Mass. and Italy. Kennedy biographer Mark Dallek says the photos added a previously unseen intrigue to political life. "There's a sort of Hollywood quality to it, a sense that these are celebrities," Dallek told CBS News' Bill Plante. "These are people who are famous, and they enjoy their fame, and they enjoyed their notoriety and the public responds to it." Dallek also claims the photos shaped the way JFK was perceived for decades to come. "It was not just that he was handsome, but there was a kind of aura, a kind of charisma to the man that allowed him to capture the public imagination." Though perhaps less comfortable in front of the camera, Jackie Kennedy nevertheless quickly became one of the world's most famous women, revered for her style and elegance. Pat Suzuki remembers her camera-shy friend, "When she was under pressure and she had the paparazzi moving in on her, it made her...not so much self-conscious but it assaulted her sense of propriety," Suzuki told Plante. "It was hard on her in the beginning and then she learned to handle it," she added. For a glimpse of Shaw's historic photos, watch the video above. Monday, October 1, 2012, 6:30 - 8 p.m. The Gallery will be closed Friday - Sunday, September 21 - 23, for the Memorial of Barbara Ann Sayre Monroe. Robert Kennedy was the most imposing politician he ever met. And Johnny Depp is incredibly photogenic. Steve Schapiro (1934 in Brooklyn) ought to know, because he has actually photographed them all: his expressive portraits of Martin Luther King, Jr., Muhammad Ali, Barbara Streisand, Marlon Brando, David Bowie, Jodie Foster, and Robert de Niro are part of our collective visual memory. Besides his work with the stars, Schapiro and his camera accompanied the greatest political and social upheavals of the sixties and seventies. These photographs have also achieved iconic status. This volume includes a selection of photos taken over a period of more than fifty. In the accompanying essays, Schapiro explains how they were created, describing his experiences in a lively, humorous way. Along with previously unpublished photographs, the book also features new works by the timeless master. Monroe Gallery of Photography is pleased to join fifteen established fine art photography galleries from across the United States for the inaugural DC Fine Art Photography Fair. An extraordinary range of photographic images—from 19th-Century Images to cutting-edge contemporary visions—will be on display and available for purchase. 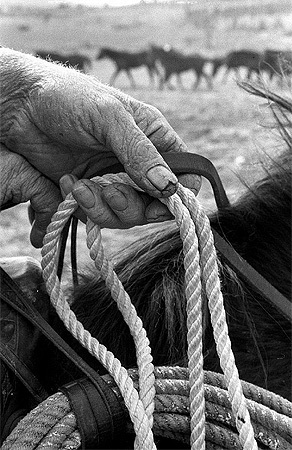 Monroe Gallery will feature selected highlights from the gallery's renowned collection of 20th and 21st Century Photojournalism, as well as Stephen Wilke's acclaimed Day To Night series. Barely out if his teens, Nick Ut was thrust into the role of combat photographer after the untimely death of his talented brother, a noted actor and AP photojournalist. Here in his own unadorned and eloquent prose is the truly incredible story of how this young Vietnamese photojournalist fortuitously missed getting shot down in a helicopter and went on to use his beloved Leica to capture “Napalm Girl,” the most searing and influential picture of the Vietnam War, and become the youngest person ever to win the Pulitzer Prize. Nick Ut was honored with the Leica Hall of Fame Award on September 17 at “LEICA – DAS WESENTLICHE”. Q: Can you tell us about the photo of your brother and the influence he had on you? A: My brother was named Huynh Thanh My. He worked as an AP photographer in the Mekong Delta in 1965. He is number 7 in the family and after he died I subsequently joined the AP after the New Year in 1966. Q: Did you want to become a photographer because of your brother? A: Really I wanted to be a photographer very much. I learned a lot from him. Before my brother died he showed me all his Leica cameras. He used them practically every day to cover the war. This is a picture of him taken 40 years ago. It’s been many years since I’ve seen that image and this was really the first time I’ve also seen the negative. Q: So when your brother died, a year later you joined the AP. How old were you when you joined? A: When my brother died in 1965 in Vietnam they held a funeral and my entire family attended. They all looked at me and said, “That young boy might be a photographer.” They looked at me as I held a picture of my brother. I wasn’t sure about becoming a photographer at that point, yet my family clearly wished I would become one—even my sister in law. They said, “Nick, don’t you want to become a photographer?” And I said yes. So they said, “Maybe we should go to AP office in Saigon and see Horst and see if maybe you can get the job.” And I told my sister, “I’m not a photographer yet—I need to learn something to be in the AP. Hopefully they’ll give me a job as a photographer when I show them I’ve learned something about the AP darkroom.” Well I learned a lot about the darkroom and I also took pictures every day in Saigon with my Leica and every other camera in the AP office. I showed them my pictures and they said I was a good photographer. I told them I didn’t believe that. Then one day I showed them a picture of the destroyed abbey in Vietnam and that marks the turning point. From then on I really wanted to be photographer, and 3 or 4 months later I was an official combat photographer and I went everywhere. I was the youngest combat photographer. I never saw anyone as young as I was in that role. Q: Not every young photographer gets to start out with a Leica either. A: Yeah I first held a Leica when I was fifteen. My brother had a Leica and he would show it to me. I would hold the camera and want to take pictures with it. And my brother knew I really loved the Leica so when he came home we would take the camera everywhere. I wanted to learn. I wanted to shoot pictures all over my neighborhood. I would show my family the pictures. And then when I joined AP they had a camera. They told me I could pick which one I wanted and I told them I’d love to have two Leicas. Then they give me the Leica M3 and the Leica M2 and I carried them every day, everywhere. I would hide undercover till I saw something and then I would take a picture. Sometimes I would see the bombs in Saigon and I would take a picture of a lot of dead bodies and then take them back and show the AP. Q: One thing I didn’t know was that your brother was an actor before he died. A: Yes. My brother was very handsome. He was a Vietnamese movie star. He was very tall. All the women loved him. He became the CBS cameraman and he joined the AP in ’65. Q: Now when you were shooting during the Vietnam War, you also got injured correct? A: Yes, I was injured in the thigh and I was very lucky just it was only shrapnel in my leg. In the winter it hurts. But many other photographers were injured far more severely or even killed. Q: And you had said someone saved your life while you were shooting pictures too? A: Yes, my friend Henry, the best AP photographer in Saigon. In 1970 there was a heavy shelling in Laos, and Henry told me he wanted to take a vacation in Hong Kong. He asked if he could take the first helicopter out of Laos. Since he was a really good friend I let him take my seat, and I took another flight from Laos to Saigon. The first thing I did when I got in the office was to check on any more assignments and to see my boss Horst. He asked if I had seen Henry and I told him he had taken my seat. He told me gravely that that helicopter was shot and that everyone on it had died. And I told him that it was supposed to me that had died. Henry took my seat and got killed for me. 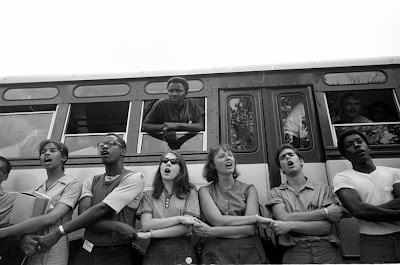 Q: So we’re going to talk a little bit about the big famous photo. What did you expect in Trang Bang the day that you went? Q: You developed the film yourself. When did you know it was a special photo? A: What happens when you shoot a picture on film is that you don’t see it until it’s developed and printed. Today with digital you can see the image right away. And I remember 40 years ago everyone worried about his pictures. So when I developed the picture and saw it I thought “Oh my God. I have a picture” and thought of my brother number 7. For many years he said he hated war. He told me hoped one day I would have a picture that would stop the war. And that picture of Kim running did stop the war. Everybody was so happy. Q: How does it feel to have taken a photo that had so much influence? A: I think I was mostly lucky. I was so happy I had taken that picture. Even now, almost 40 years later people are still talking about that picture. Q: You mention the number 7 coming up a lot. Can you share the significance of that number? A: My parents had 11 children. My brother was number 7. He was a wonderful photographer for AP in Saigon. And he always told us stories about his pictures. Every time he came home he would show the pictures to his wife and me. He showed me pictures of dead bodies of Vietnamese and American soldiers. He would say he didn’t want the war to go on. He wanted to see have pictures published on a front page somewhere to help stop the war in Vietnam. But he died in 1965 and he was only 27. He never continued with his pictures. Then when I got my job I overhear my boss say that he hoped I could take a picture that would stop the war. I did with the napalm girl. So I said yeah brother, I have a picture that will stop the war. And it was number 7 on the negatives too. That was from my brother I am sure. Q: What film and camera did you use? A: I shot it with a Leica M2 on 35mm color film. Q: So what did your boss Horst say when he first saw the photo of Kim? A: When he first saw the picture he had just come back from London. He asked who took the picture. They said it was mine. He asked me what happened in that picture. I told him napalm dropped. He went and sat at the light table by himself to look at my negative. He went to the darkroom and made 12 more prints to send to New York. He said that picture would cause trouble, and that he’d never seen a picture like this taken in Vietnam. But when he sent the picture to New York they didn’t want to use it because it was too naked. He said no I want that picture sent right away. He was yelling. Q: So who was responsible for actually getting the photograph published? A: Horst. He sent it to the director in NY and they made sure the picture got sent out. Q: You broke a lot of records that day as far as being the youngest Pulitzer Prize winner and also getting a photo of a naked girl widely published. Can you tell us about these records that you broke? A: I remember being interviewed. They asked how I felt about winning the Pulitzer Prize and I said, “I’m too young! I don’t know anything about a perfect photo.” They said I won something. They came to the office and opened champagne and said I had won the Pulitzer Prize! I said “Oh my God!” They told me I was too young to win the Pulitzer Prize. It was so exciting. The AP called me and said I was the best. Yes, I am still the youngest ever to this day. Q: It’s been 40 years since you took that iconic picture. Can you say how much that one photo has impacted your life as a photographer? A: At the time of the picture’s 35-year anniversary I took a picture of Paris Hilton going to jail. It was shot on the same I day I took the picture of the napalm girl. Nowadays they call me Hollywood Nick, so when I went back to the AP they told me my next assignment was to take a picture of Paris Hilton going to jail. So I went to Hollywood and I remembered that it was the same day 35 years ago when I shot the napalm picture. So then I took a picture of Paris Hilton. She was with her father and she was crying. As I fired off two frames I realized that her hair looked exactly like the girl from my photo 35 years ago. And she was crying. And CNN ran a story about the man who took a picture of the napalm girl and 35 years later took the picture of Paris Hilton going to jail. Q: How does it feel to win the Leica Hall of Fame award? A: I was very happy when I heard that Leica was giving me the Hall of Fame award. When they told me I said yes, I want to go there and accept the award. Q: Is it also special for you because Horst will also be getting an award too? A: I really wish I could call him and say, “Daddy, you come with me and see the Hall of Fame. I’m receiving a big award and you have to be there with me” and he would email me back and say “Nick, my son I’ll be there with you.” But I know I’ll never see him there because he got very ill. After he came home from the hospital and they told me he had passed away and I cried a lot. I miss him. Q: You’ve had an amazing career. What advice would you give to young photographers that want to get into photojournalism? A: I think young photographers today should shoot film first before getting a digital camera. I’ve seen many high school students in America in California that shoot film before getting into digital. And I think that’s a good thing. Because when you start with digital you shoot too fast. With film you have to make every picture count. Thank you for your time, Nick! 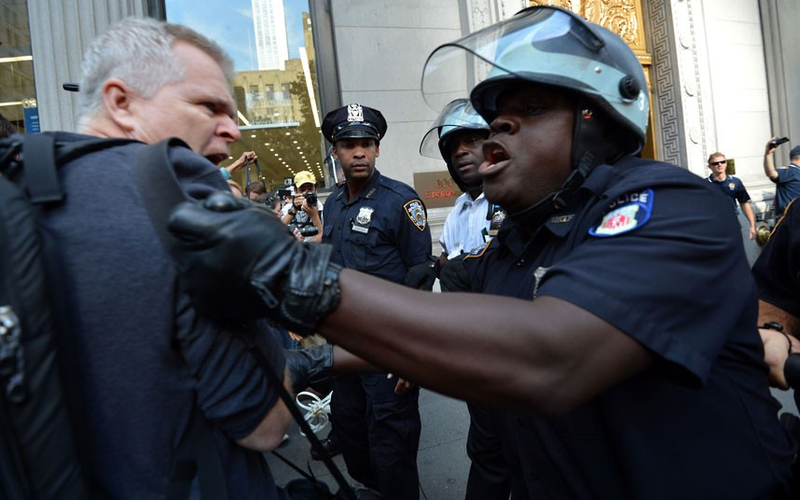 "One officer repeatedly shoved photographers with a baton and a police lieutenant warned that no more photographs should be taken. “That’s over with,” the lieutenant said." UPDATE: The detention of journalists again brought back memories of last fall, when the NYPD on occasion arrested journalists wearing NYPD credentials. 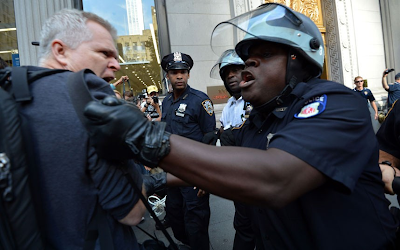 Ironically, the arrests take place on Constitution Day, a day which Congress has set as a day to celebrate, study and discuss the United States Constitution, including the Bill of Rights. 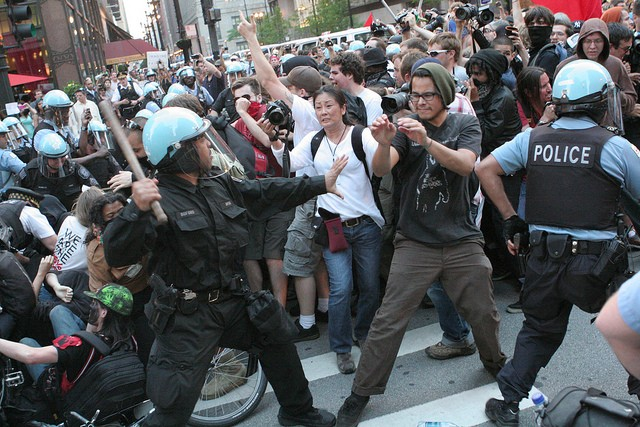 NPPA has been receiving reports from a number of our members who are covering the OWS demonstrations in NY. We are deeply concerned and troubled by the aggressive and indiscriminate manner in which officers and command staff are allegedly treating those exercising their First Amendment rights to photograph and record matters of public concern on the streets of NY. These acts of intimidation, detention and sometimes arrest continue to occur despite Commissioner Kelly's Finest message (reminding 'members of the service of their obligations to cooperate with media representatives acting in a news-gathering capacity at the scene of police incidents'), issued last year in response to the arrests of journalists covering the events in and around Zuccotti Park, as well as specific directives in the NYPD Patrol Guide regarding the rights of "Observers at the scene of Police Incidents." It should also be noted that whereas the Tampa and Charlotte-Mecklenburg Police Departments chose to work with NPPA and other organizations in order to prevent these incidents during the recent political conventions held in those cities (where no journalists were arrested), the NYPD has declined to accept similar offers of training. While NPPA appreciates the fact that NYPD has adopted the above referenced guidelines, without proper training and appropriate disciplinary action, those directives are just pieces of paper. We are happy to share the video of the final part of our three part summer Art Law Lecture Series -- The REMIX Culture: Appropriation Art and Fair Use in the Digital Age. Led by moderator Talia V. Kosh of New Mexico Lawyers for the Arts, panelists David L. Dirks, Sid Monroe, Casey Bock, Craig Anderson and Benjamin Allison discussed the high profile Cariou v. Prince appropriation case and the importance of appropriation and forms of visual referencing in our culture. 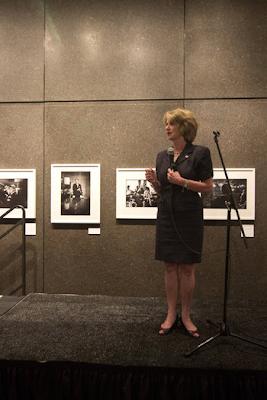 Taking place on August 15th, the panel discussion was co-sponsored by photo-eye and New Mexico Lawyers for the Arts. Our thanks to all those who participated. South Africa has given the art world a good number of famous photographers – David Goldblatt, Santu Mofokeng, Roger Ballen – but the wider photographic history of the country remains almost unknown. 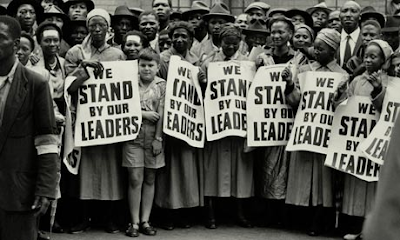 That would be enough to make Rise and Fall of Apartheid, the extensive and strikingly ambitious exhibition now open at the International Center of Photography in New York, into an important event. What makes this show unmissable is something else: the forceful argument of its Nigerian-born curator, Okwui Enwezor, that apartheid-era South Africa was "essentially a neofascist culture", and photography, more than any other artistic medium, offered a means to reinforce it or to contest it. It's a broadly chronological show, and its opening galleries show the speed with which South African photography was transformed from an ethnographic practice to an engaged, politicised one. Photographic output exploded after the institution of apartheid in 1948, especially in the contested spaces of South Africa's cities. In one shot we see a bench marked Whites Only, where a young fair-haired girl sits while her black nanny hovers behind her. In another, an older white woman in pearls is sitting on a bench with the same repugnant text on it – but she's wearing a black sash, the symbol of the non-violent women's anti-apartheid organisation. Photography was never just a documentary tool in South Africa. It was also, especially for the black majority, a means of self-fashioning. Drum Magazine, founded in Johannesburg in 1951, modernised the image of the black South African from rural native to urban habitué. Photographers of all races contributed, and the magazine mixed reportage with fashion and arts photography: there's a killer shot by Jürgen Schadeberg of Miriam Makeba in a strapless dress, singing with her eyes closed. Elsewhere in the show there are grimly fascinating photographs by Billy Monk, a bouncer at a Cape Town nightclub in the 1960s, whose snaps of drunk white revellers necking liquor and groping each other are a far cry from National Party propaganda, or the arid fashion magazines Enwezor displays beneath them. But as the apartheid regime grew more severe – with the banning of the ANC and the imprisonment of Nelson Mandela – the character of the photos changed. 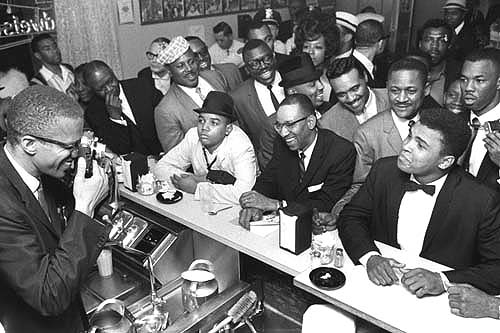 The photographers of this era were rarely on assignment: they were actors in the struggle. During the Soweto Uprising of 1976, Sam Nzima photographed a 12-year-old boy shot by police – and then bundled him into a car to take him to a clinic, where the boy was pronounced dead. Funerals, in particular, frequently served as a key vehicle for black visibility and political action. Mourners gathered by the thousands after the Sharpeville massacre, Steve Biko lying in his open casket, Winnie Mandela alongside the mothers of assassinated activists: these images came to symbolise the apartheid struggle itself, and made racial separation into a matter of life and death. By the 1980s, the anti-apartheid movement had gone global, and the art world took notice. Hans Haacke created fake advertisements for Alcan, the erstwhile Canadian mining giant with large holdings in South Africa, that featured Biko beaten to death. Adrian Piper defaced pages of the New York Times which featured reports on apartheid with grotesque charcoal drawings. And in turn South African artists, from William Kentridge to Zwelethu Mthethwa, gained international attention for work that exposed the cruelties and absurdities of life under the apartheid regime. In the final gallery we see the famous photograph, shot by Graeme Williams, of Nelson Mandela emerging from prison, his fist raised in the air. But Enwezor refuses to sound a falsely triumphant note at the end of this commanding exhibition. There are no images of happily queuing black South Africans voting in the 1994 election – but bodies dead in the street, or graves being dug for the victims of political violence that continued even after apartheid's end. And the young photographer Thabiso Sekgala shows us a scene from one of the former bantustans: scorched grass, stunted trees, barbed wire, a rusting car, a shack made of plywood and corrugated iron. There is little sign that anyone will ever live here again. The photograph is called "Inheritance." Today is the 50th anniversary of President John F. Kennedy's famous speech in which he declared, "We choose to go to the moon ..." He delivered it here in Houston, vowing to put Americans on the moon within the decade. I'm sitting here in the bleachers at Rice, on the stadium's east side, where most of the 40,000 people had gathered to hear Kennedy speak. It was Sept. 12, 1962 and reportedly it was quite hot but clear that day. The crowd included not only the mayor of Houston, the county judge, and the president of Rice, but also the Texas governor and various Texas congressman. "It was blazingly hot. And poor Lyndon Johnson was drenched with perspiration." Bob Gomel was photographing Kennedy that day for LIFE magazine. He says the president, unbelievably, didn't seem sweaty at all. "He was cool, man. He just didn't, he just somehow or other, was oblivious to it. He looked perfectly fine." Houston was the third stop on a presidential tour of aerospace facilities. Gomel had gone with him to the rocket facility in Huntsville, Alabama and to Cape Canaveral. At Rice he was so busy taking photos that he didn't realize the importance of the speech until later. "It was very daring, it was very daring. I mean the Russians were out there in space. And he elected to put us in competition." "But why, some say, the moon? Why choose this as our goal? And they may well ask why climb the highest mountain? Why, 35 years ago, fly the Atlantic? Why does Rice play Texas? We choose to go to the moon. We choose to go to the moon in this decade and do the other things, not because they are easy, but because they are hard …"
LIFE magazine photographer Bob Gomel, 28, at right in background holding camera, as the president enters the stadium before the famous speech. Photo credit: Unknown. At Houston's Manned Spacecraft Center on 6040 Telephone Road, President Kennedy pokes his head out of a spacecraft in this previously unpublished photo. Photo credit: Bob Gomel. "We choose to go to the moon ..."
President John F. Kennedy and Vice President Lyndon Johnson began their space industry tour on Sept. 11, 1962 at rocket-production facilities in Huntsville, Alabama. Photo credit: Bob Gomel. President Kennedy, with Vice President Johnson by his side, speaks at Cape Canaveral during his 1962 tour of U.S. aerospace facilities. Photo credit: Bob Gomel. President Kennedy at Cape Canaveral. Photo credit: Bob Gomel. Rice presidential historian Douglas Brinkley says this was not only the most important event in Rice's 100-year history, but it was also one of Kennedy's best and most successful speeches, in which he sold the American public on a vast public works project, that despite its expense, united the country. "It was a way to get Congress to appropriate hundreds of billions of dollars into the space program. This was the single largest public discovery project ever. In scope, it dwarfed the Panama Canal. Maybe only the interstate highway system of Eisenhower is comparable." Brinkley says Kennedy wisely sold the project as more than just a Cold War space race with the Soviets. "Kennedy framed it as the march of human civilization into the galaxies. And framed it in that language of breaking the shackles of earth." Brinkley notes that this was the last time a U.S. President managed to unite the country around a vast, expensive, and noble goal. The tragedy of the Vietnam war, followed by Ronald Reagan's call to shrink government, made Americans more skeptical about public spending, especially on infrastructure and exploration. "We aren't seeming to do public discovery anymore. It's all become private sector. And you don't have the government leading the charge on one big grand possibility like Kennedy threw out in front of the 40,000 people at Rice Stadium." Bob Gomel: LIFE in The 1960s will be on exhibit October 5 - November 18, 2012 at Monroe Gallery of Photography. Bob Gomel will be in attendance at a reception in his honor on Friday, Oct 5, 5 - 7 PM. In honor of the 11th anniversary of September 11th, EarthCam is proud to premiere this new commemorative time-lapse with cinematic views of the World Trade Center site from multiple webcams. The movie focuses on the rise of One World Trade Center, New York's tallest building, and has spectacular shots of the entire downtown New York City skyline. The footage was captured between February 2010 and September 2012. What are the ethical responsibilities of a photojournalist who chooses to cover conflict? Can he or she be truly neutral, or do they have a responsibility to reflect the moral and political imbalances of the situations they report on? The panel will explore the ethical pressures on photojournalists in conflict and will consider their accountability for the positions they take and the pictures they make, how they make them, where they place the work and the voice they attach to it. The discussion will consider the responsibilities and consequences, intended and otherwise, of reporting on conflict. Echo Foundation and Charlotte Observer exhibit of Bill Eppridge's photographs. More and more independent journalists and citizens are putting themselves on the front lines to cover city halls and city streets, politics and protests — and they’re doing so without the support or protection afforded staff at established newsrooms. Indeed, these journalists undertake incredible personal and legal risks to do their work. The Committee to Protect Journalists found that of the 179 journalists imprisoned worldwide in 2011, 86 were digital journalists and 78 were freelancers. Here in the U.S., nearly 90 journalists — many of whom are independents or freelancers — have been arrested or detained in the past year, and in state after state people have scuffled with police over their right to record. We cannot build a bright future for news if we cannot create ways to protect and support the independent and citizen journalists who are trying to create that future. Some of these journalists are building new networks of support to expand their reach and insulate them from legal threats. Learn more about these ad-hoc support networks in my post on PBS’ Media Shift site. To support our journalism campaign, please consider a donation to the Free Press Action Fund. 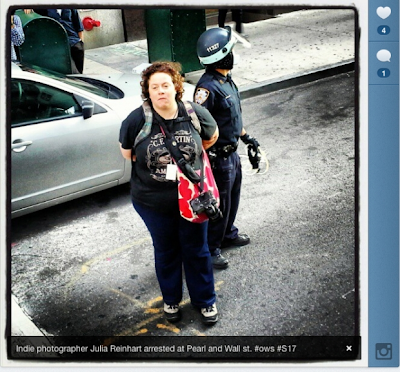 "I mean, photojournalism is not dead. I think we can agree on that." Kadir van Lohuizen, interviewed on the New York Times Lens Blog as the NOOR photo agency is commemorating their fifth anniversary at the 2012 Visa Pour l'Image Festival. Life magazine photographer Bill Eppridge shadowed Bobby Kennedy on the 1968 presidential campaign trail, witnessing everything from quiet moments to massive rallies. On June 5, 1968, Eppridge took a famous photo of Kennedy lying on the floor of the Ambassador Hotel in Los Angeles, moments after he had been shot. “There is not a day that goes by that I don’t think about that man,” Eppridge said. Now, with politics on center stage in Charlotte, a special exhibit featuring nearly 40 of Eppridge’s photos of Kennedy will be on display. The show, “One America, One American,” is sponsored by The Echo Foundation and The Charlotte Observer. Housed in the Observer’s lobby, the exhibition is open to the public Sept. 4-Oct. 19, following The Echo Foundation’s 15th annual award gala opening Monday. 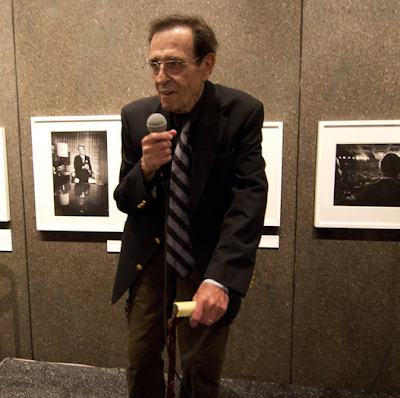 Eppridge, born in 1938 and still taking photographs, will attend the opening, as will Kennedy’s oldest daughter, Kathleen Kennedy Townsend, a former lieutenant governor of Maryland. Townsend will accept the foundation’s inaugural Family Legacy Award on behalf of the Kennedy family. “I think a lot of (delegates) don’t really know who he was or what he stood for or the importance of that man, and maybe this will get them thinking about where we’ve been or where we might be able to go,” he said. Before Kennedy became a Democratic senator from New York, he was attorney general in the administration of his brother, John F. Kennedy, who was assassinated in 1963. Bobby Kennedy was an icon of the civil rights movement and took a strong stance against the war in Vietnam. Eppridge said Bobby Kennedy’s importance lay in his honesty, popularity and dedication to getting troops home from Vietnam as soon as possible. From more than 500 entries from students across the globe, Tobin Jones, who attends the University of Westminster in the United Kingdom, was chosen as grand-prize winner. Jones won the opportunity to travel to Charlotte during the convention and take photos alongside Eppridge for one day. Copyright 2012 The Charlotte Observer. All rights reserved. This material may not be published, broadcast, rewritten or redistributed. The free public exhibit, “One America, One American,” is open 7 a.m. to 8 p.m. Monday-Friday and 9 a.m. to 6 p.m. Saturday and Sunday, Sept. 4-Oct. 19 in the Observer lobby, 600 S. Tryon St.
"labor Day and is dedicated to the social and economic achievements of American workers"
"These photographs were taken in order to catch and reflect the mood, the feeling of a given moment. If the viewer receives from these pictures an understanding of the affection of the Kennedys for one another, their high spirits and enjoyment of life, the book will have fulfilled its purpose." So wrote the Life magazine photographer Mark Shaw in the original 1964 edition of The John F Kennedys: A Family Album. 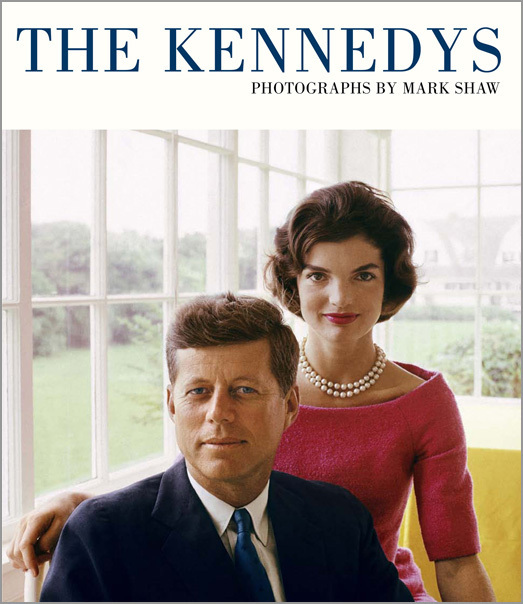 But in this new expanded edition, Shaw's widow reveals that the publication was also a coping mechanism; that Shaw had become not only the Kennedy's unofficial family photographer but a close friend. It explains why the work of this pre-eminent fashion and portrait photographer never recovered from Kennedy's assassination, but also how he'd been able to get such fresh, candid shots; shots that, with their vigour, vitality and promise of fresh hope for America's future, were arguably instrumental in Kennedy's election successes. Shown right, Jackie on the beach in Hyannis Port, Massachusetts, with her daughter, Caroline. BBC: As a new book of images of The Kennedys by Mark Shaw is published in the UK, we talk to the editor Tony Nourmand about how images help the political campaign. Listen here.